I can’t believe it’s been three whole years since the last Muppet outing relaunched the long running series in theaters. “The Muppets” was a fun, charming, and clever way to reintroduce the Muppet game back into the pop culture world. Heck, it even won an Academy Award (Though we remember there wasn’t much competition, literally). 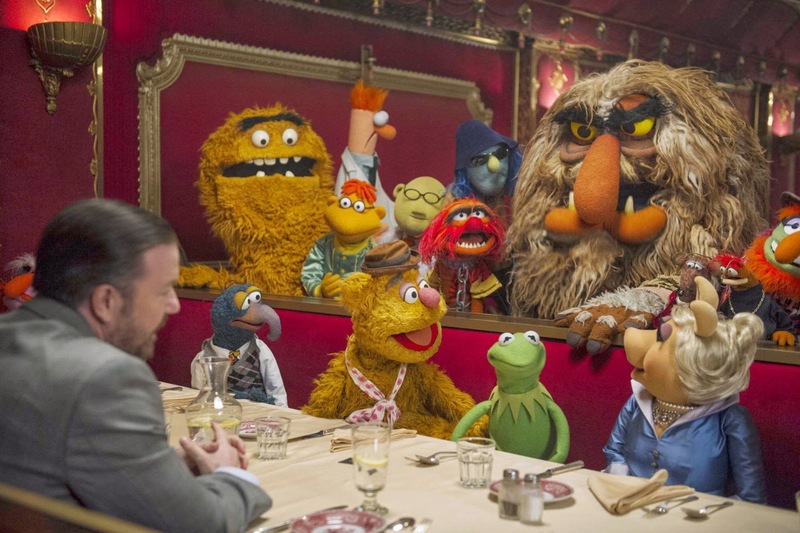 Now the Muppets are back again and I want to say that this new big screen adventure, in a way, is more true to the spirit of the old Muppet movies that we all grew up with as kids. It’s zany, it’s weird, it’s full of celebrity cameos. The 2011 felt like a tribute to the original “Muppet Show” but this one feels like a true Muppet film. It’s plot is lightweight - this is minor Muppet – but it still retains everything people love about this lovable characters. While “The Muppets” was a ultra-meta, post-modern take on the Muppets, this new film is more of a straightforward Muppet tale. It’s in many ways like “The Great Muppet Caper” in that it takes place abroad and involves a criminal mastermind that looks exactly like Kermit the Frog. His only distinguishing feature? A black mole on his face (and villainous Russian accent of course). The film literally takes place exactly where the last film ended and right away Kermit, Miss Piggy, and the gang are figuring out what the plot of their next film should be. They meet up with Dominic Badguy (Ricky Gervais) who signs on as their manager and suggests taking The Muppet Show on tour in Europe. There he plans to work with Constantine (who has replaced Kermit comically unbeknownst to anyone else) to rob museums that are adjacent to the theaters that the Muppets are performing in. Meanwhile Kermit is sent to a prison in Siberia that’s run by Tiny Fey who sports a comedic Russian accent and Ty Burrell is an Interpol agent who teams up with Sam the Eagle to track down Constantine.